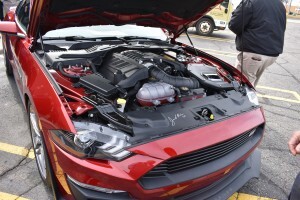 Brightbill Body Works’ Mason Hemphill has been leveraging the power of propane for years. He’s helped the company sell hundreds of school buses with the Ford transmission. 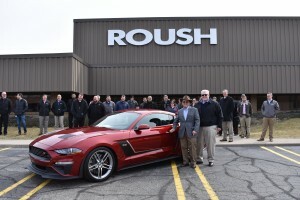 Mason was the winner of the 2018 Blue Bird / ROUSH CleanTech contest for a ROUSH Mustang. Recently, we hosted Mason at our headquarters to award him his big prize. 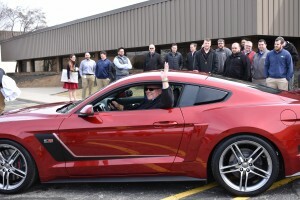 Roush Enterprise chairman Jack Roush handed over the keys to Mason’s brand-new Stage 3 ROUSH Mustang. We appreciate all that Mason has done to help push the propane message. He is a strong proponent of propane, explaining it as ‘the right thing to do’ for school districts. He uses a number of tools to educate customers, including lending demo buses to school districts and bringing customers to ROUSH CleanTech to learn more about our propane product. Enjoy your new ride, Mason!